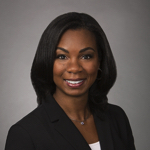 Erica Williams is a partner in the Government, Regulatory & Investigations Group of Kirkland & Ellis LLP. Erica focuses her practice on internal investigations and defense of companies and individuals accused by the government of involvement in securities law violations, white collar crime and other major business litigation disputes and crises. Erica was previously a Special Assistant and Associate Counsel to President Barack Obama, where she advised the president and his senior advisors on legal and constitutional issues involving economic policy, financial regulation and reform, financial technology, trade, intellectual property and data protection and privacy. Before that, Erica spent 11 years at the U.S. Securities & Exchange Commission, serving as Deputy Chief of Staff for three chairmen. In this role, Erica managed legal and operational functions of the SEC. She was responsible for evaluating and providing legal advice on recommendations from the SEC’s Division of Enforcement and examination policies and plans from the SEC’s Office of Compliance, Inspections and Examinations. She also oversaw significant personnel, labor and employment matters, working closely with the agency’s Office of Inspector General, Office of Human Resources, Office of General Counsel and Chief Operating Officer. In addition, she served as member of the SEC’s audit committee, operational risk management committee and budget governance committee. Earlier in her career, Erica served as Assistant Chief Litigation Counsel in the SEC’s Division of Enforcement Trial Unit where she investigated and litigated numerous complex, high-profile, matters arising out of the 2008 financial crisis and led a number of successful prosecutions, including cases involving insider trading, accounting fraud, violations of the Foreign Corrupt Practices Act and financial reporting.